Let she who hath never been victimized by email hit the lock button and ignore this post. Okay. Right. There we go. We've all been there. Email is ridiculous. It is absolutely ridiculous. I hear you, and you're not alone. Email takes up about a quarter of our days in some form or fashion, and it only seems to be worsening. You shred through pitchy newsletters and morally dubious J. Crew sales in hopes of finding a zen state of being known only as Inbox Zero. If you're like me, you strain like Sisyphus to reach that daily mountaintop -- very often failing -- only to wake up the next day with a disconcerting number of emails clogging your inbox. You spend the majority of that next day burning through emails you'd rather have read (or not received at all), and the cycle starts over again. Well, don't despair, because there's hope even for you most flagrant of email abusers. Keeping track of your email doesn't require adding extra hours to your day. In fact, you can check more email in a shorter period of time and feel satisfied with the result. With the right app, the right mindset, and a little "trickeration," you'll be well on the road to Inbox Zero every single day. Email is for sending the most crucial of communications. Very often, people become email hoarders. (I myself have this tendency.) You subscribe to every shiny newsletter that promises to help you "sell more books" or "create the perfect landing page." It's an addiction, and the first step to email success might not be an app to magically cure your email fever but a whittling down of the waste that litters your inbox. Unroll.me is a great tool for getting rid of junk mail, even the junk mail that you think is essential. How it works: All you do is sign up, sign in, and then take a look at the listservs you are subscribed to. A single 'Unsubscribe' click may be the difference between getting three emails a week from Bonobos and never hearing from them again. Trust me. You'll thank yourself. 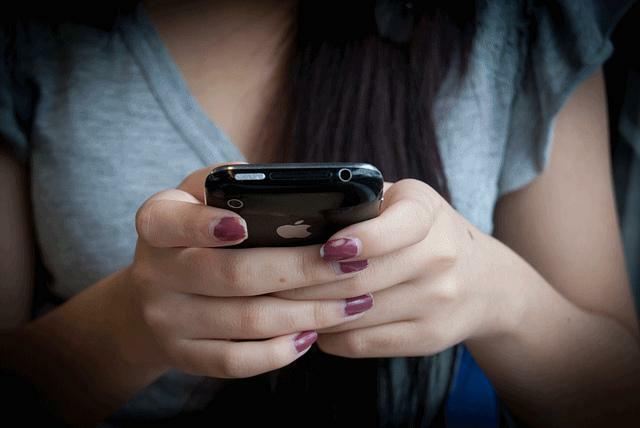 Now, this may take a little internal anguish on your end, but if you can make it through that initial session, you will find your cell phone a little bit lighter than it used to be. (In email weight, at least.) If you can cut your inbound communiques down the the essentials, you're already on the track to taming your email. When uber-email app Mailbox was shut down by Dropbox, I went into a mild depression. Seriously. I had my email under control and was hitting a reasonable email level almost every single day. Without an alternative handy, I went into a panic about what I would do about my mounting email woes. I tried a few that did not work for me. What I loved about Mailbox was not just its simplicity but the functionality. If you don't know, what made Mailbox special was the ability to 'snooze' emails until a later date, so you could deal with them when you needed to deal with them. That specific feature changed how I used email. I thought my (email) life was over. Then, along came Spark. Spark is a super similar program that, with a little tweaking, does everything for me that Mailbox did. I barely even miss it these days. But I do! I DO! If they brought it back, I would be super happy. ANYWAY, the big feature here is still snoozing. One of the reasons that email is annoying is that you have these blobs of digital ink sitting on your phone's hard drive, and you feel powerless in dealing with it. You can't email so-and-so back today, because you don't know the answer to so-and-so's question, so the email just sits there. If, however, you can push emails to later, when you CAN deal with them, then you can focus on the emails that need to be sent RIGHT NOW. 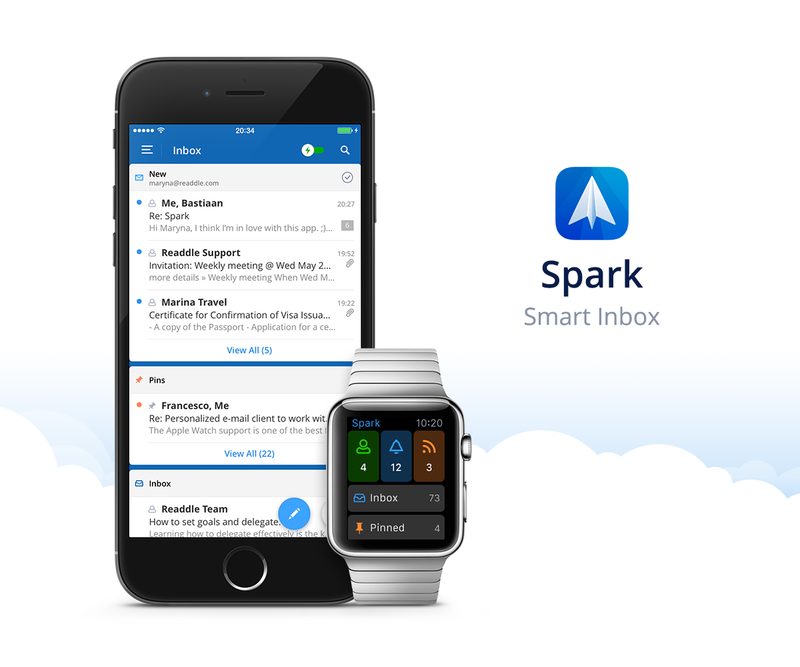 This is how Spark can really help knock your productivity with email into overdrive. You'll spend less time thumbing through pages and pages of emails, looking for actionable items. Instead, you can get right to responding to and making actionable the emails that you need to answer immediately. It's nice checking email on a phone, but sometimes you need a little more functionality. You need a more robust email client to deal with those down and dirty emails at the office. Spark is only really available on iOS and iPad as of this writing, so there is no desktop client to unify them all. Airmail is a pretty nifty desktop client to solve your email woes, and it works nicely within the framework of the snoozing and pushing email idea I've floated above. It works in almost exactly the same way. You can snooze emails, archive or delete them, and just generally make them work for YOU. The keyboard shortcuts -- Press 'E' to archive, w00t! -- help make the process of checking and swiping through emails as quick and seamless as your favorite phone app. Airmail is absolutely essential, IMHO, even if it is a paid app. It makes its money back instantly, if you ask me. Airmail. Price: $9.99 in the App Store. Essential Email Apps Companion: Todoist. Todoist doesn't really have any overt connection to email -- it's ostensibly a to do app -- but I'll give you a little hint about how I use it. I make lists of items that I need to do, and if something comes up in my email that I can't make actionable immediately, and I need to get it out of my inbox, I move it over to Todoist and BOOM -- my email is cleaner. It acts as a kind of placebo effect. I usually don't need the email that's clogging my inbox, and I'm only hanging onto it for fear that I'll miss out on something. If, however, I move it to Todoist, eventually I just get rid of it, wondering why I ever bothered keeping it for so long in the first place. I admit that it's not really GTD way of addressing the problem, but it does get the email out of my inbox, and that is really the thing I'm looking for right now. It's worth the price of free, and it possesses the same snoozing and swiping functions that make Airmail and Spark so utterly appealing. They come highly recommended by this blogger right here.